We are reminded of ancestors and previous generations each time we enter or pass a cemetery; each time there is a conversation around family history, when we look at old family photographs and when we either read or research historic events. They are more than names on dusty shelves; more than tombstones amid the overgrown grasses of a half-forgotten cemetery; more than simple words. They are people who lived and walked the same roads we walk today; watched the waves break on the same shore; felt joy, hunger and pain; laughed and cried with family and friends. 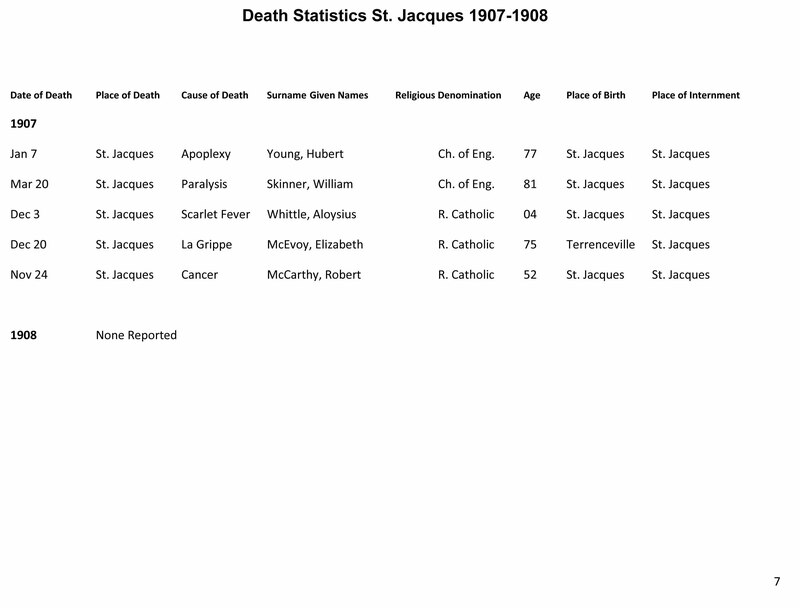 Recently I was looking through records of deaths in St. Jacques dating back to the 1850’s. 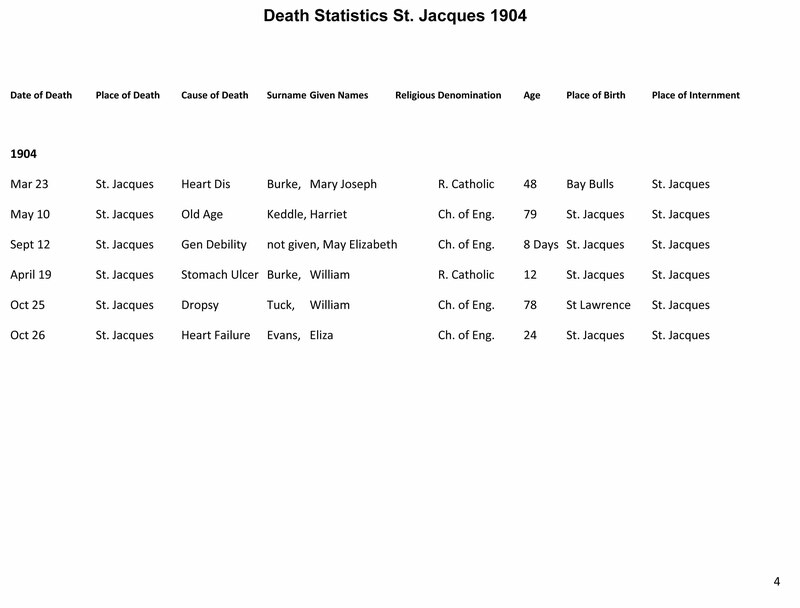 I was struck by the number of people who died each year and their causes of death. 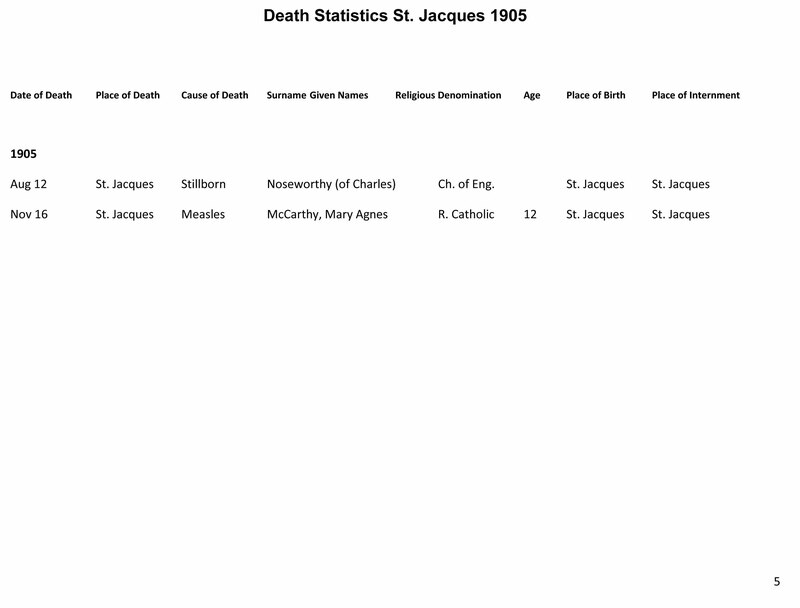 It was also striking to see the number of children who died. 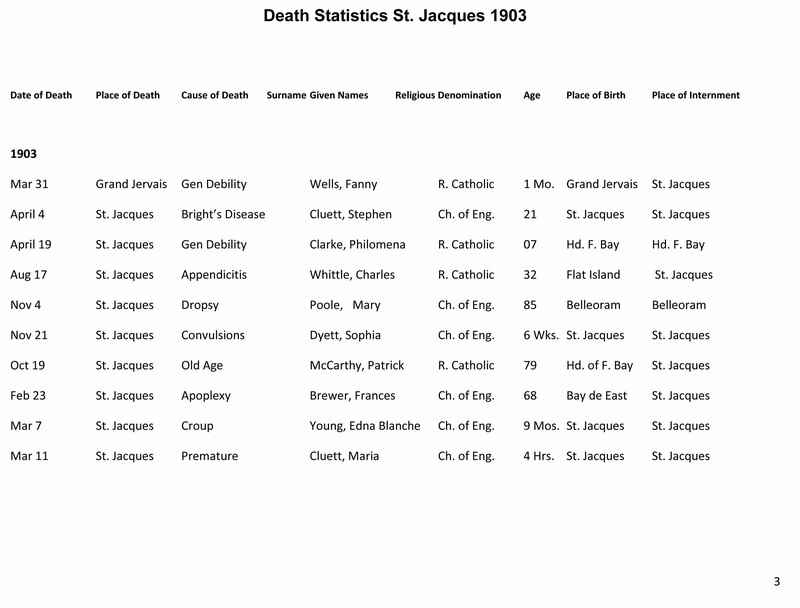 In this post I want to share with you a window into a ten year period from 1900 to 1910 by looking at the names of those who died, how old they were and what caused their deaths. 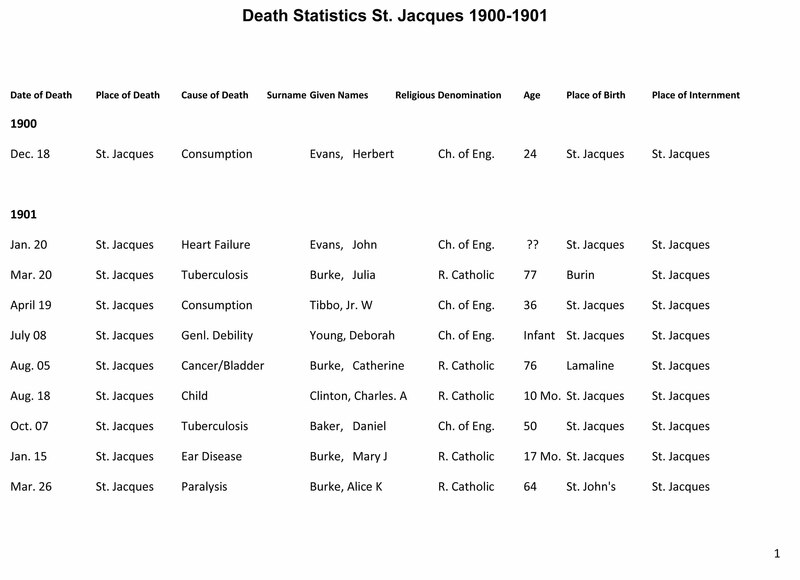 Since some of the medical terminology has changed in the ensuing century I’ve added a glossary of the more unusual terms identified as causes of death. 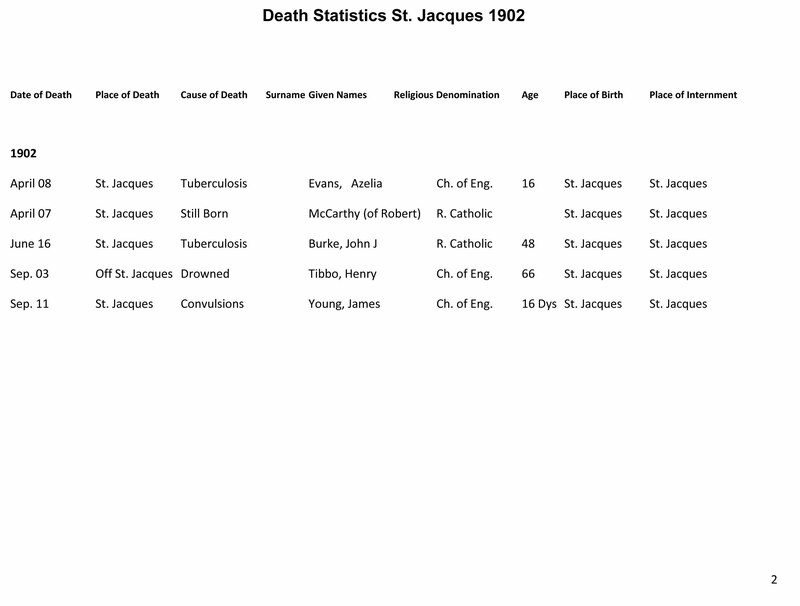 These people are no longer in living memory. You may have heard some of the names in stories. 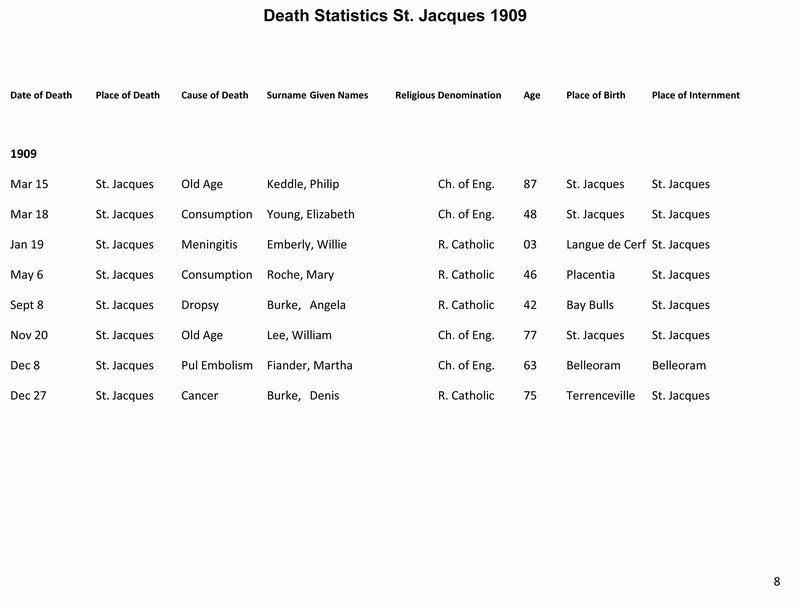 Some of the family names will be familiar while others will not. 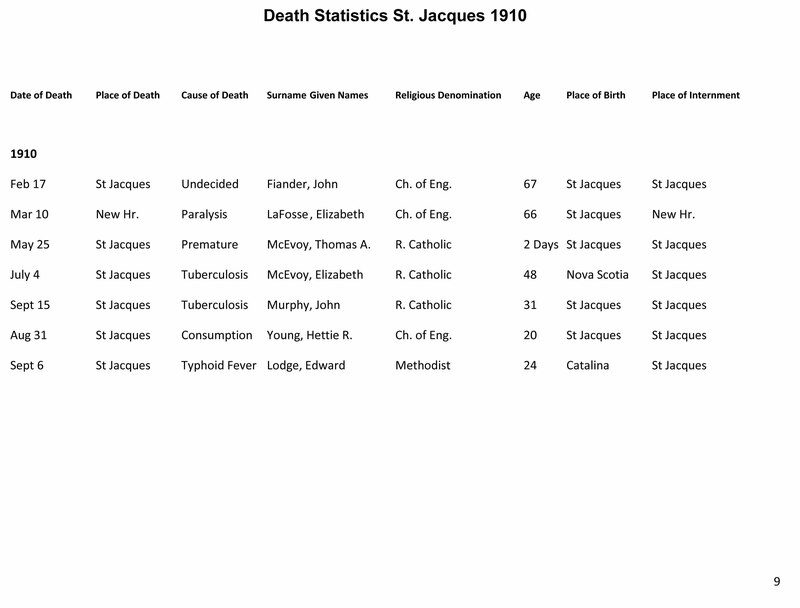 One of the questions that may come to mind is where are they buried? 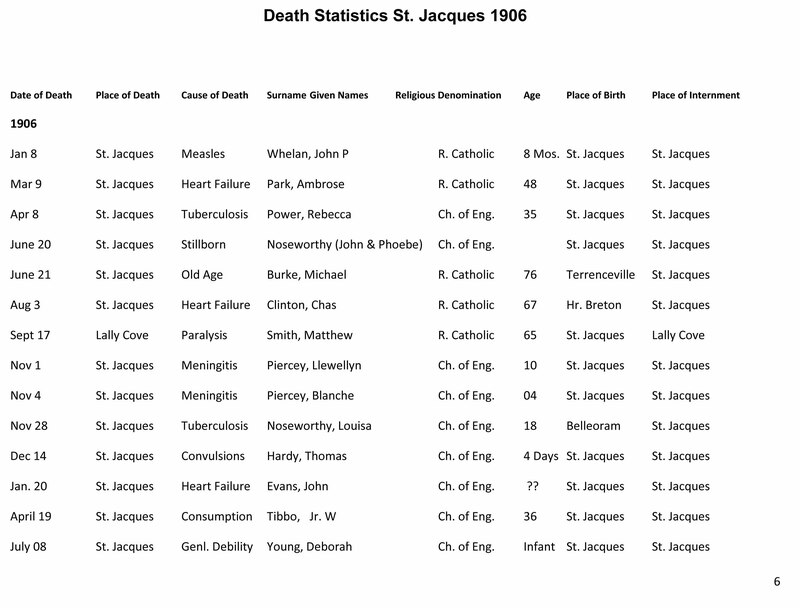 Many of these people are no longer identified in either the Anglican or Catholic cemeteries. Their grave markers have either crumbled or deteriorated and joined them in the soil. The next time someone tells you that the old part of the cemetery is full, trust them for what you see here is just one ten year period in the history of a community that has had people living and dying in it since the late 1700’s. Right click on Glossary and choose Open Link in New Tab.